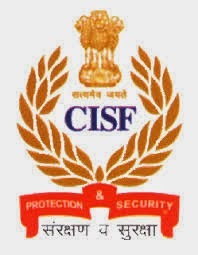 CISF Recruitment 2019 CISF Latest Jobs 2019 Application form 1203 Constable/ Driver Bharti jobs CISF Recruitment 2019 Central Industrial Security Force (CISF): invited prescribed application proforma from Indian Nationals to filling of Constable or Driver vacancies. Interested applicants are apply on or before 2019. Candidates must passed matriculation from recognized board and also have valid driving license for heavy / light motor vehicle and motor cycle with gear. Applicant’s age should be between 21 years to 27 years as on date mentioned in the notification. Examination fee: Candidates have to pay Rs.50/- for General / OBC candidates only. No fee are required to pay for reserved category candidates like SC/ ST/ Ex-Servicemen etc. Selection Process: Selection will be done on the basis performance in written test, physical efficiency test, trade test, written test , medical examination and final selection. How to Apply: Candidates have to download prescribed application format from official website of CISF : cisf.nic.in , then duly filled application should be reach along with all relevant documents to concerned DIG. Current Notification 2019, Defence Jobs, Government Jobs, Jobs By Qualification, Jobs for Graduates, Jobs for Post Graduates 10th Jobs, CISF Jobs, Constable Bharti, Constable Govt Jobs, Constable Jobs. permalink.